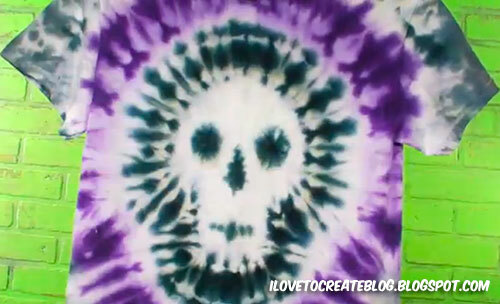 Halloween is right around the corner and I've dreamed up the perfect tie dye project for you. 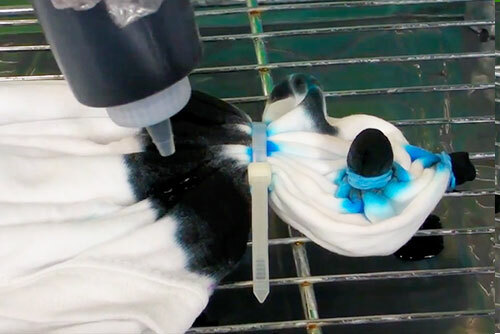 Getting this skull tie dye shirt isn't as hard as you think. Watch my video below and I show you all the easy steps to follow to make it happen! 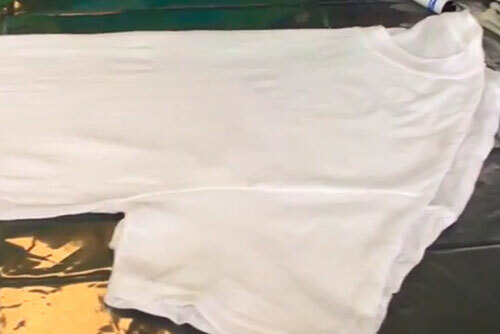 Watch the video above for complete instructions as I show you step by step how to make this shirt or closely follow the steps below. First you will fold your shirt in half. Print out the attached pattern for your shirt design. You may need to reduce or enlarge it on your copying machine to fit your shirt. You can find it here. Fold the pattern in half and lay it down exactly on your fold. Trace around it with a washable marker. Sketch on the placement of the eyes, nose, and mouth. 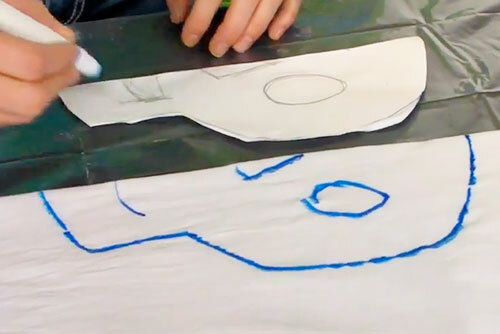 Carefully bind the nose around the marked line using rubber bands. Now wrap around the eye area tightly. 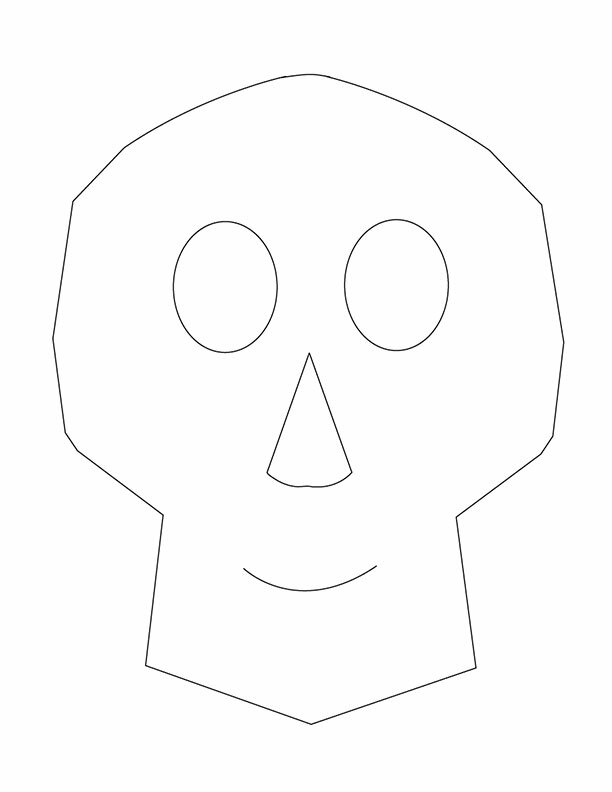 Carefully pinch around the outline of the skull. 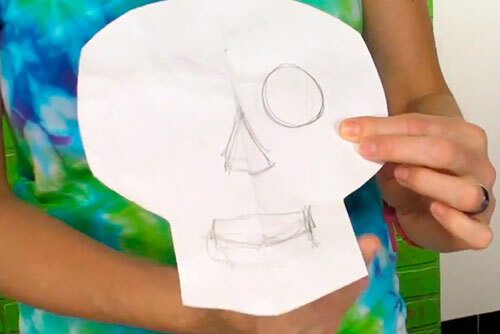 Now add the zip tie along your bunched up skull outline. 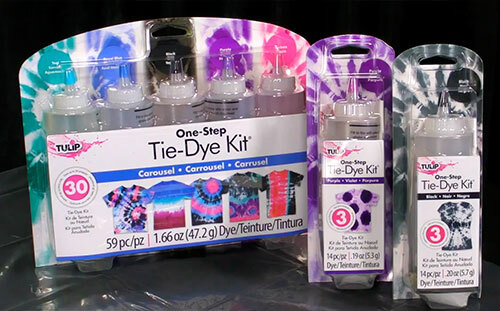 Layout out your baking rack and shake up the black and purple tie dye for one minute each and apply right above the rubber bands. Just use a small amount. You don't want it to bleed past the bottom of the rubber band. Now add just a few drops along the line you marked for the mouth. Add some black dye underneath the zip tie. Just squeeze right below the zip tie. You don't want too much dye around the zip tie, because it will bleed into your skull face. Now add black dye to the bottom portion. 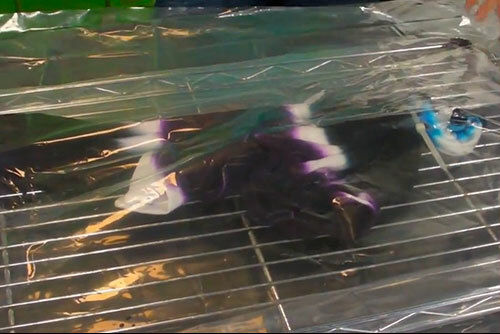 Let the dye set for 6-8 hours minimum. If you are wanting to have the colors be even more vibrant, leave overnight before you rinse. 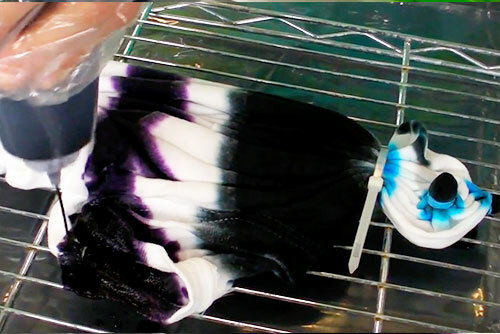 Rinse out the dye in the sink until the water runs clear. 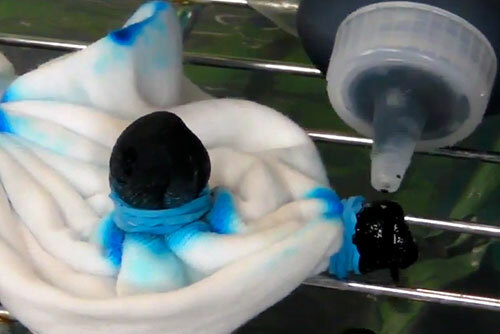 Then pop it into the washer by itself using colder water and dry in dryer. Now you have a cool shirt to wear for all your spooky festivies and beyond! Would love to see what you could do with an altered shirt. thank you! 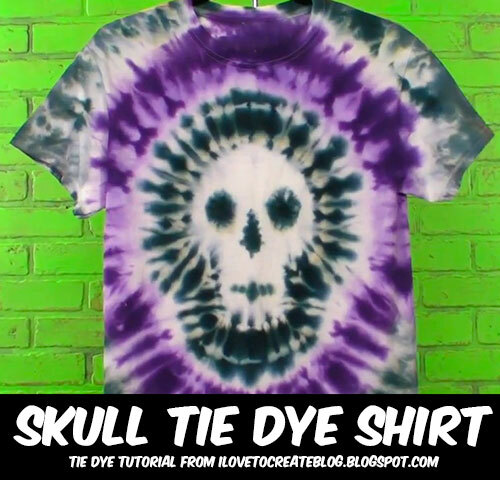 there are so few tie dye tutorials online, and yours is really nice. Where is the attached pattern? Thanks! Just did this project last night. It turned out great in black and green! It was my first tie dye ever and your tutorial really helped. Thanks! I cant not seem to find link to the skull pattern. Could you please help me? love your tutorial it is so easy to understand and follow. If your funny t-shirts are turning out funny-looking, the problem may be your text. But don't fear! With these 5 tricks of professional graphic designers, you can quickly turn those amateur custom t-shirts into perfect and polished works of t-shirt art.